Marcus Millichap , a leading commercial real estate investment services firm with offices throughout the United States and Canada, announced the sale of the Holiday House and Holiday Motels , which together equate to 101 motel rooms on approximately 92,782 square feet of land located on Las Vegas Boulevard. The asset sold for $4,700,000. Marcus & Millichap, a leading commercial real estate investment services firm with offices throughout the United States and Canada, announced the sale of the Holiday House and Holiday Motels, which together equate to 101 motel rooms on approximately 92,782 square feet of land located on Las Vegas Boulevard. The asset sold for $4,700,000. Dustin R. Alvino, first vice president investments, and Ray Germain, first vice president investments, in Marcus & Millichap’s Las Vegas office, had the exclusive listing to market the property on behalf of the seller, a limited liability company. 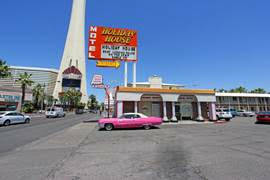 The Holiday House and Holiday Motels are at 2205-2211 Las Vegas Blvd. South, just north of Sahara Avenue. “The properties are contiguous and provide the owner with significant frontage on one of world’s most well-known boulevards. These properties received a great deal of interest resulting in multiple competing offers from both local and national buyers, indicating a substantial increase in investor confidence in this submarket,” Germain said. • A sale to CALCAP Advisors. The 87-unit multifamily property, Skyline Place Apartments, is at 5055 Tamarus St. The transaction value was $6,075,000. Thomas Olivetti of Colliers International represented the buyer and the seller, Alpha Wave Investors. • A sale to MEQ-Hualapai. The approximately 5-acre land parcel is Near Deer Springs Way and Hualapai Way (APN: 125-19- 301-003) in Las Vegas. The transaction value was $2,550,000. Vince Schettler of Colliers International represented the seller, Mosaic Land 1 LLC. • Marcus & Millichap announced the sale of Bromley Apartments, a 32-unit apartment property at 5816 Bromley Ave. The asset sold for $2,480,000. The buyer, an individual/personal trust, was secured and represented by Cesar A. Talavera, senior associate in Marcus & Millichap’s Las Vegas office. • A sale to Thamer Daoud. The approximately 24,829-square-foot retail property is in Chevron Gas Station and Convenience Store at 1400 Rand Ave. in Carson City. The transaction value was $2,099,999. Dan Gluhaich of Colliers International represented the seller, William and Barber Investments. • Marcus & Millichap announced the sale of Smoke Ranch Plaza, a 10,000-square foot retail property at 6595 Smoke Ranch Road. The asset sold for $1,256,000. Dustin R. Alvino, first vice president investments, in Marcus & Millichap’s Las Vegas office, had the exclusive listing to market the property on behalf of the seller, a private investor. • Marcus & Millichap announced the sale of Martin Professional Building, a 8,708-square foot office property at 9330 W Martin Ave. The asset sold for $1,415,000. Tina D. Taylor, first vice president investments, and Ryan McCullough, associate, in Marcus & Millichap’s Las Vegas office, had the exclusive listing to market the property on behalf of the seller, an individual/personal trust. 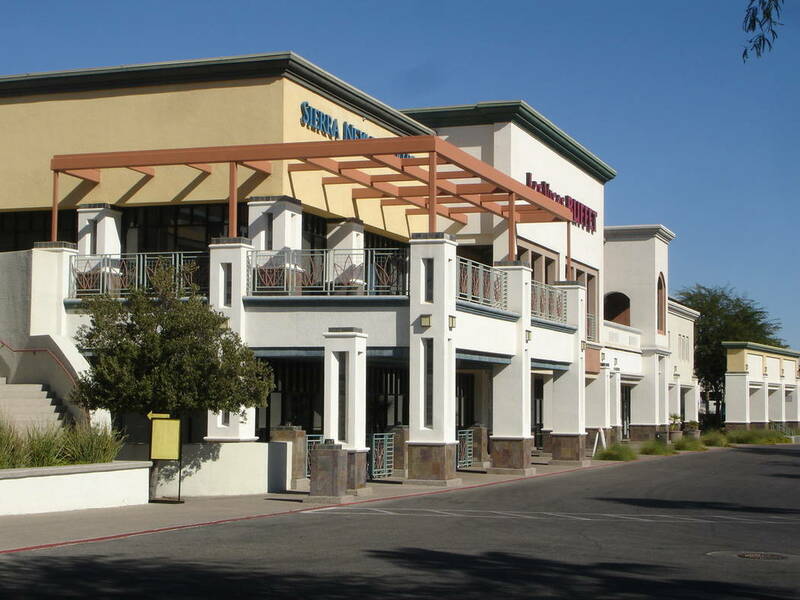 • Las Vegas Made LLC has leased 7,641 square feet of retail space at Green Valley Town Center III, at 4300 E. Sunset Road, Ste. A-1, in Henderson. Brett S. Beck of Virtus Commercial represented the lessor, Henderson Town Center LLC., and Brad S. Winston of Award Realty Corp. represented the lessee. 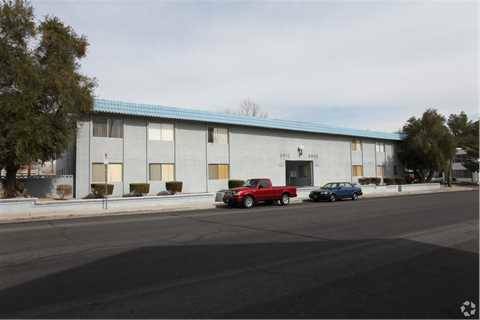 • Pride Communications Inc. has leased 6,000 square feet of industrial space at 639 E. Brooks Ave., Ste. 206-207, in North Las Vegas. Matt Feustel of Virtus Commercial represented the lessee and Jason Simon of JLL represented the lessor, HIC Trident LLC. • Precise Business Management LLC has leased 749 square feet of office space at The 1785 Office Center at 1785 E. Sahara Ave., Ste. 350. Chris Emanuel of Virtus Commercial represented the lessor, The 1785 Office Center LLC. • Platinum Hair Salon has renewed its lease for the 1,750 square feet of retail space at Revere Marketplace at 955 W. Craig Road, Ste. 101-B, in North Las Vegas. Chris Emanuel of Virtus Commercial represented the lessor, Las Vegas Adventure LLC. • A lease to Las Vegas Collision Center Inc. The approximately 43,560-square-foot industrial property is in Goldstrom Industrial Park at 5455 S. Cameron St. Dean Willmore, SIOR, of Colliers International represented the lessor, Goldstrom & Dean LLC. Alex Stanisic of Colliers International represented the lessee. • A lease to AIK Consultants Corp.. The approximately 21,120 square-foot-industrial property is in Sunrise Industrial Park No. 1 at 4601 E. Cheyenne Ave., Suite 121. Dan Doherty, SIOR; Paul Sweetland, SIOR; Chris Lane and Jerry Doty of Colliers International represented the lessor, ICON PAC Nevada Owner Pool 3 Nevada. Brian Riffel, SIOR, of Colliers International represented the lessee. • A lease to Loup Inc. The approximately 12,600 square foot industrial property is in Arrowhead Commerce Center (Bldg. 12) at 6175 S. Sandhill Road, Suite 600. Spencer Pinter, Dan Doherty, SIOR; Chris Lane and Jerry Doty of Colliers International represented the lessor, KTR LV IV LLC. Greg Pancirov, SIOR, and Mike DeLew, SIOR, of Colliers International represented the lessee. • A lease to Silvercar Inc. The approximately 9,144-square-foot industrial property is in Warm Springs Business Center (Phase II) at 7220 Dean Martin Dr., Suite 600. Spencer Pinter of Colliers International represented the lessor, WSL Properties LLC. Grant Traub of Colliers International represented the lessee. • A lease to MetalX LLC. The approximately 8,652-square-foot industrial property is in Civic Center Corporate Park at 3908 Civic Center Drive in North Las Vegas. Dan Doherty, SIOR; Paul Sweetland, SIOR; Chris Lane and Jerry Doty of Colliers International represented the lessor, MCA Civic Center LLC. • A lease to Arcadia Solar NV LLC. The approximately 5,591-square-foot industrial property is in Saddleback Park West Business Center at 6370 Montessouri St. Dan Doherty, SIOR; Paul Sweetland, SIOR; Chris Lane and Jerry Doty of Colliers International represented the lessor, Post LP. • A lease to Miccile Industrial Inc. The approximately 4,925-square-foot industrial property is in Highland Industrial Center at 2910 S. Highland Drive, Suite M. Chris Connell and Grant Traub of Colliers International represented the lessor, FKC Highland LLC. • A lease to Smith-Emery Co. The approximately 2,470-square-foot industrial property is in Ali Baba Commerce Center at 4005 W. Reno Ave., Suite A. Pat Marsh, SIOR; and Sam Newman of Colliers International represented the lessor, Vegas Ventures LLC.